DAVID LE/Staff Photo. 2/12/15. 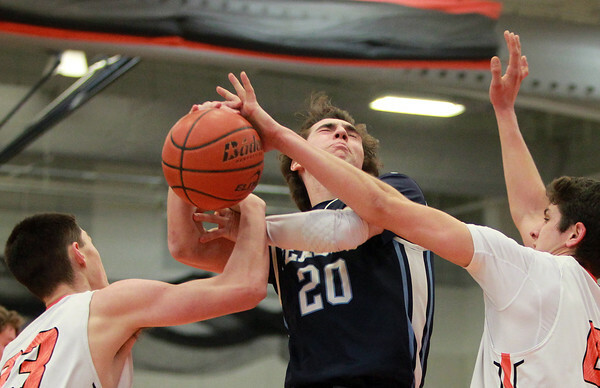 Peabody senior forward Mike Raymond (20) drives hard to the hoop and gets fouled by Beverly sophomore Pat Gavin, left, and senior captain Gavin Sparkman, right.